This was a Simutronics-run paid quest run in March of 2002.
could be easier? Unfortunately, someone else has the same information you do. A Dwarf who insists he can fly around the world in a balloon and a rich eccentric who builds a museum. Nothing, you might think, but they share common desires --adventure, wealth, treasure, knowledge and the solving of an ancient mystery. 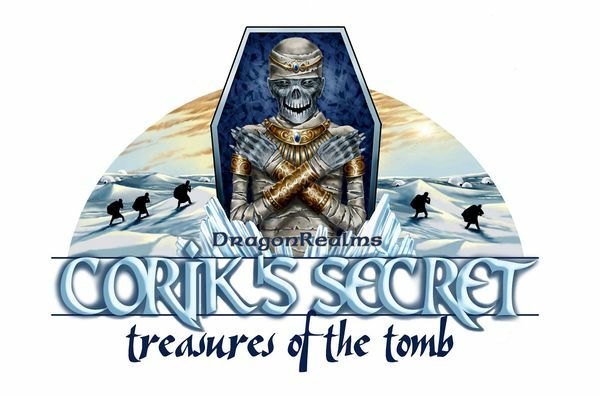 Corik's Secret: Treasures of the Tomb! A richly furnished ship, the promise of treasures beyond your wildest dreams, a journal with clues that will give you the key to access the tomb -- or to die trying -- what could be easier? Unfortunately, someone else has the same information you do. The Dwarven explorer Jorndar set off at the beginning of spring of year 366 to make a historic first trip around the world in a hot air balloon. Almost two years later, most have given him up for dead, assuming him to be the victim of a crash in some remote region that no one in their right mind would ever set foot on. They are half right. As Jorndar faded to a distant memory, a rich eccentric member of the House of the Ivory scroll entered the gates of Shard, preparing to build a museum to house his collection of artifacts and oddities. This eccentric, Huburt by name, poured an extravagant sum in platinum into his project, assuring its completion in record time. Shortly after it was finished, Huburt held a gala ball to celebrate the opening. Dignitaries from all over Elanthia attended the glittering event and everything was going perfectly -- until he arrived. A Dwarf, battered and thin, stumbled dramatically through the doors shouting for the curator of the museum. Though the guards were suspicious, he was taken to Huburt. The mysterious interloper revealed himself as Jorndar, the Dwarven explorer who had set off for a trip around the world in a hot air balloon almost two years before, now returned with an enthralling tale. Although he had not made it very far on his intended journey, he had made an incredible discovery! Somewhere on the uncharted seas far to the south there was a glacial island, a land made almost entirely of ice! Though he could not be sure since he was unable to enter the main crypt, he believed that upon this huge iceberg he had found the final resting place of Corik of the Black Cloud. Also in this tomb were signs of a massive creature, unlike any other known in Elanthia, set to guard the last sleep of the honored dead. Jorndar copied all he knew of the area into a journal that he offered to Huburt, for a price. A collector of the rare and strange, Huburt was happy to pay whatever the explorer requested. The deal was sealed and the journal changed hands. However, the journal was destined to change hands yet again into the sticky grasp of a pair of pirates, in disguise at the ball and planning to make a grab for some of the priceless exhibits. Deciding the journal was a better prize, they snatched it and bolted, only to be pursued and captured by brave adventurers. 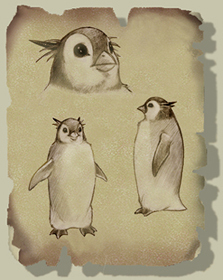 As the journal was returned to it's rightful owner, word spread that one of the pirates managed to escape his captors, and he had copied the information from the journal. Huburt announced that despite this he would soon be looking for people to travel to the mysterious land of ice, dubbed Meshor, to seek out the treasures of the tomb and return the corpse so that a positive identification could be made. That time is upon us. Do *you* have the courage to brave the unknown? To travel the vast distances of the sea to a cold and frozen land, a land of dangers past imagining, a land where vast wealth, great adventure -- or sudden death -- await those who venture in. A land where the strong arms and clever wits of your companions will be your shield against defeat and death, as yours will be for them. If you have the courage and the heart, then venture to Meshor and challenge the unknown! What can you expect? 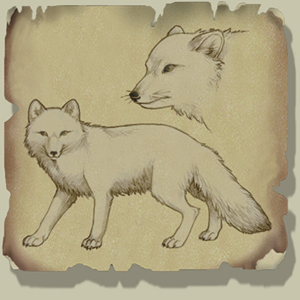 Corik's Secret: Treasures of the Tomb follows in the great tradition of adventurous quests in DragonRealms. You'll find that like our past quests there are puzzles, treasures, dangers, and secrets galore. But you'll also find elements that have never been in a quest before, such as multiple paths, making the choices you make more important than ever before. Like all quests, you can die in this quest and you can lose items in this quest. Bring plenty of favors but do not bring any items you cannot bear to lose. The quest is expected to run about eight hours but can run longer. Everyone must show up one half hour before the start of the quest. If you show up late, you will be starting behind and will have to catch up. Since teamwork is essential to complete the quest, failure to show up in time could prove disastrous to you or your fellow adventurers. Failure is possible, but the rewards for success are great. Please read QUEST POLICY in game for further information before you start your quest. 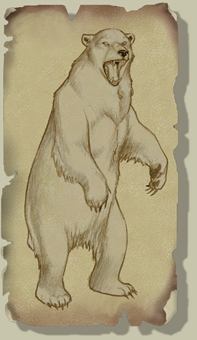 Oh, and that rumor about a massive creature? I wouldn't worry about it... too much. This page was last modified on 19 November 2015, at 00:23.